Since 1972, Roadrunner Glass has been installing windows and mirrors in homes and businesses in Sun City, Arizona. No glass or mirror application is too difficult or too small for the professional glazers at Roadrunner Glass to handle. Sun City homeowners, business owners, designers, and architects love the professional advice and installation services that Roadrunner Glass offers. One of the Roadrunner Glass window or mirror specialists will gladly come to your Sun City home or business and advise you to the best products and installation procedures. Each window or mirror that we provide is custom made to ensure proper fit to your application. Glass Tabletops - To protect the fine furnishings in your Sun City home or business, why not get a glass tabletop from Roadrunner Glass. We will personally come to your home or business and design a custom glass tabletop that fits perfectly on your furniture. We can also grind in a custom edge to make a beautiful accent. Glass tabletops are perfect for desks, dining tables, end tables, and anywhere a surface needs protection. 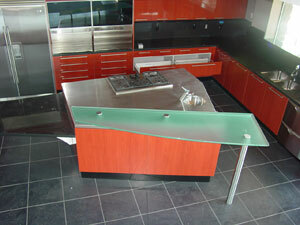 To learn more, please click on Residential Glass Tabletops or Commercial Glass Tabletops. Glass Rails - The addition of glass rails to your Sun City home or business provides an excellent safety barrier as well as creating a sleek, modern look. Roadrunner Glass offers exceptional glass rail products that are custom designed to fit your specific application. They are then professionally installed. Glass rails are excellent in stairwells, balconies, pool decks, or as handrails. To learn more, please click on Residential Glass Rails or Commercial Glass Rails. Mirrors - One of the most appealing accents that you can have in your Sun City home or business is a mirror. 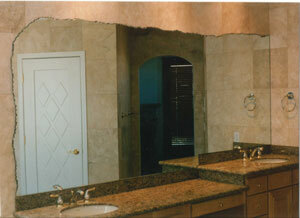 Roadrunner Glass specializes in custom mirror designs and installations. We take the time to come to your home or business, analyze the application that you are looking to put a mirror in, and design a mirror that will look perfect. For examples of our mirror installations, please go to our mirror gallery at the links provided below. To learn more, please click on either Residential Mirrors or Commercial Mirrors. Window Replacement - Old windows can be drafty and be costly on your energy bills. Roadrunner Glass can help beautify your Sun City home or business with the installation of custom replacement windows. 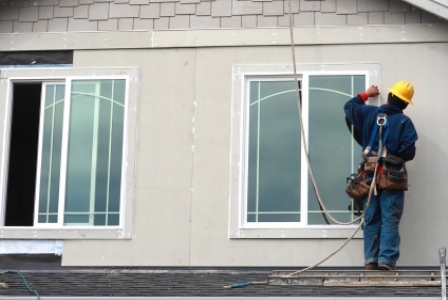 We also offer 24-hour a day, 7-day a week emergency window repair and board-up services in case a broken window occurs. To learn more, please click on Residential Window Replacement or Commercial Window Replacement. 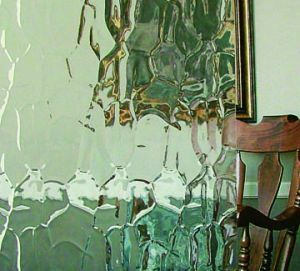 Pattern Glass - Are you looking for a really unique accent to your Sun City home or business? How about installing pattern glass? Roadrunner Glass carries a large selection of pattern glass that they can cut to the specific size that you need and professionally install it. Pattern glass also provides privacy to the adjoining room while letting light come through. To see examples, please look through our pattern glass galleries on the links below. To learn more, please click on Residential Pattern Glass or Commercial Pattern Glass. Shower Doors - Tired of the way that your Sun City bathroom is looking. Why not upgrade it with the installation of a glass shower door from Roadrunner Glass. We will come to your Sun City home and work with you to design a glass shower door that will be functional as well as beautiful. To see some of the exquisite shower doors that we have designed, please click on the shower door galleries on the links below. To learn more, please click on Residential Shower Doors. All of us at Roadrunner Glass take great pride in the window and mirror designs and installations that we do. We also appreciate the letters and e-mails that our customers send us. To see what our customers have said about our work, please click on Testimonials. To learn more about Sun City window, glass, and mirror applications that Roadrunner Glass can custom design and install, give us a call at 602-269-2543. We can also be reached with any Sun City window, glass, or mirror questions that you have through the contact form provided below. Very nice delivery guys. Prompt and courteous. A wonderful glass installation job. The mirror looks great! Just what I wanted. Thanks! To see what more of our valued customers have said about Roadrunner Glass Company, Inc. please click Read More. Sign up for our free newsletter and receive updates about our product lines and services.